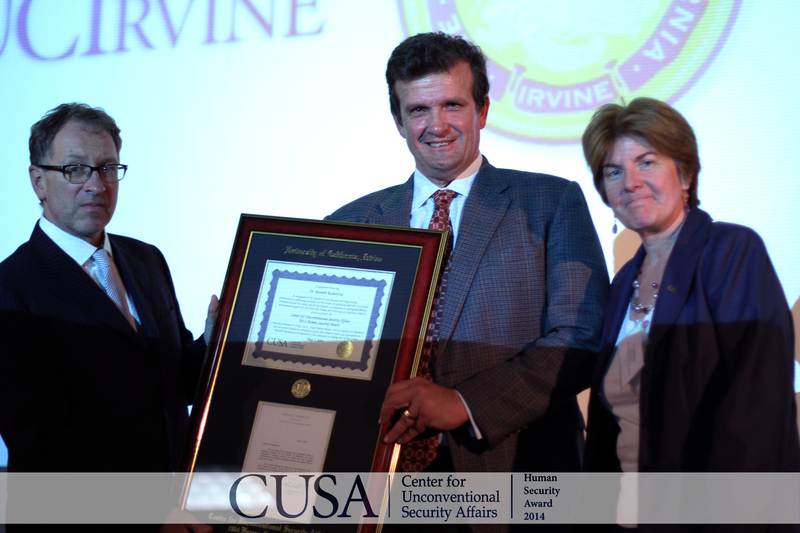 For the award’s 10th Anniversary, the Center for Unconventional Security Affairs honored Ken Rutherford, 1997 Nobel Peace Prize co-recipient and co-founder of the Landmine Survivors Network for the ceremony’s 10th year anniversary. Dr. Rutherford is an influential researcher in the field of political science most known for his advocacy for landmine survivors, work on the International Campaign to Ban Landmines, and work on the Convention on the Rights of Persons with Disabilities. He is currently the Director of the Center for International Stabilization and Recovery at James Madison University.